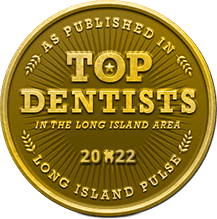 Want to Visit the Best Dentist in Long Island? 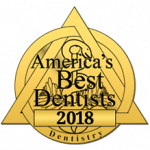 You and your family deserve excellence in dental care, and that means visiting the very best dentist. In Long Island, that’s Dr. Allan S. Mohr! 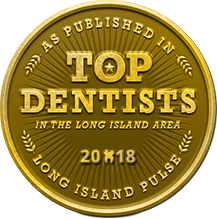 Long Island Pulse magazine recently named him as a 2018 Top Dentist, and he and his team are so pleased to have received the honor in addition to being named a 2018 America’s Best Dentist AND a 2018 Top Dentist in New York. That’s a lot! 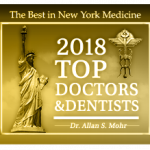 Keep reading to learn more about Dr. Mohr and the superior level of care you can expect when you visit his state-of-the-art dental practice. Dr. Mohr is a leader in cosmetic, restorative, and dental implant dentistry. He has operated in Massapequa Park since 1986, and in that time he has become an integral part of the community. 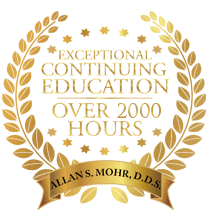 Dr. Mohr is highly active in the dental field and has shared his expertise through local and international lectures while also regularly engaging in continuing education and networking opportunities. In fact, he has completed over 2,000 hours of continuing education courses throughout his career. Today, Dr. Mohr remains committed to providing the highest level of care to patients of all ages and stages of life from the comfort of the ASM Smile Creations office. He is also highly active with Operation Smile, a global medical nonprofit that provides surgeries to children with cleft lip, palate, and other deformities. Dr. Mohr enjoying getting to know each and every patient on a personal level, which enables him to provide superior care — the kind that has repeatedly earned him the annual Top Dentist award! Patients of ASM Smile Creations find the full list of services smiles require in our modern dental practice. From checkups and cleanings to complex restorative solutions, Dr. Mohr does it all — and our expert team is here to provide support and important services that help you and your family achieve healthy, complete smiles. General dentistry, which includes checkups and cleanings and also responds to routine issues like tooth decay and early stages of gum disease. Periodontal therapy for more advanced cases of gum disease. Cosmetic dentistry, which helps people with healthy teeth and gums achieve their most attractive smiles. Restorative solutions, like dental implants for tooth loss and full smile makeovers for significant damage. Because Dr. Mohr works to keep up with the latest in dental technology, our patients know they are benefitting from the most comfortable, efficient care possible. Our tools and techniques include digital smile design, which allows you to see the proposed treatment results before we even begin. That way you know just what to expect from porcelain veneers, a full smile makeover, or anything else you might want. 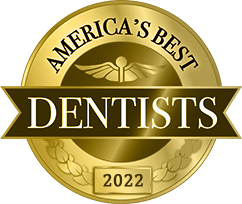 If you are interested in visiting a Top Dentist, we are pleased to say you’ve found the place for you and all of your loved ones. Don’t hesitate to get in touch with the ASM Smile Creations office at 516-541-7344.
by: allanmohr at March 27, 2018 . Comments Off on Want to Visit the Best Dentist in Long Island?